Bachelor Couples: Together or Split? 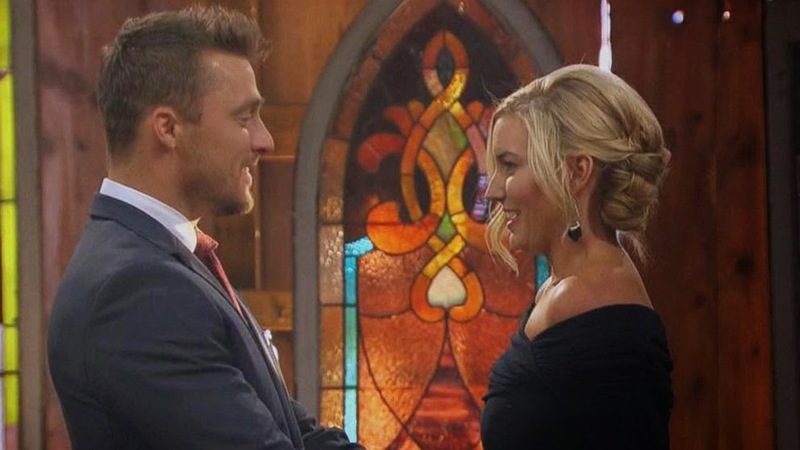 Chris Soules and Whitney Bischoff became engaged on the final episode of The Bachelor (season 19). The engagement happened in a barn full of lanterns and every yeehaw, hoedown knick-knack that the producers could find in Iowa's flea markets. Fun fact: Chris raised his first pig in that barn. They announced their amicable split in May 2015, while the Bachelorette with Kaitlyn was airing. No reasons given. Some thought that Chris and Whitney seemed a bit off on The Final Rose episode. Before the show aired, Whitney secretly visited Chris in Iowa. They spoke about having some fights, when Chris Harrison asked, but they generally seemed happy with each other. The choice to do Dancing With the Stars maybe didn't help them cement their relationship, but the outcome likely would have been the same. This brings the Bachelor stats to a 10.5% marriage rate.